My hopes of completing the army before the New Year are dwindling, but I am very happy with how these are turning out. 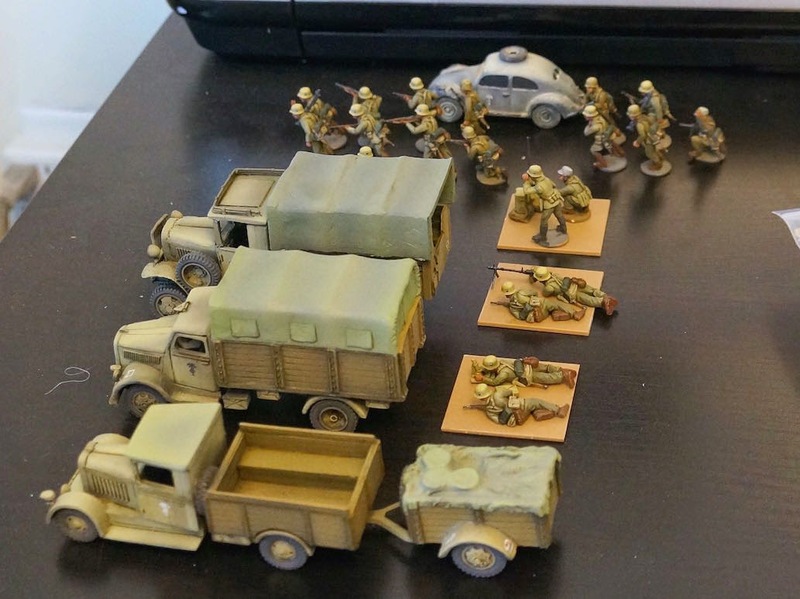 I have about 25 infantry and 1 truck to go to have a playable force. Once that batch is complete, I get to paint the tiger. Paint chipping and powders are being saved till all of the vehicle base coats are completed. 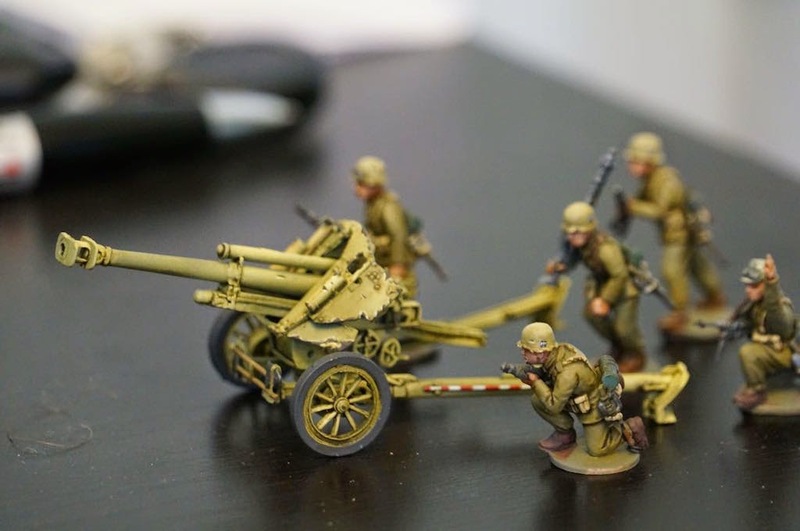 I might paint some 40k after I complete my DAK force, but my next Bolt Action force is likely to be an American contingent. 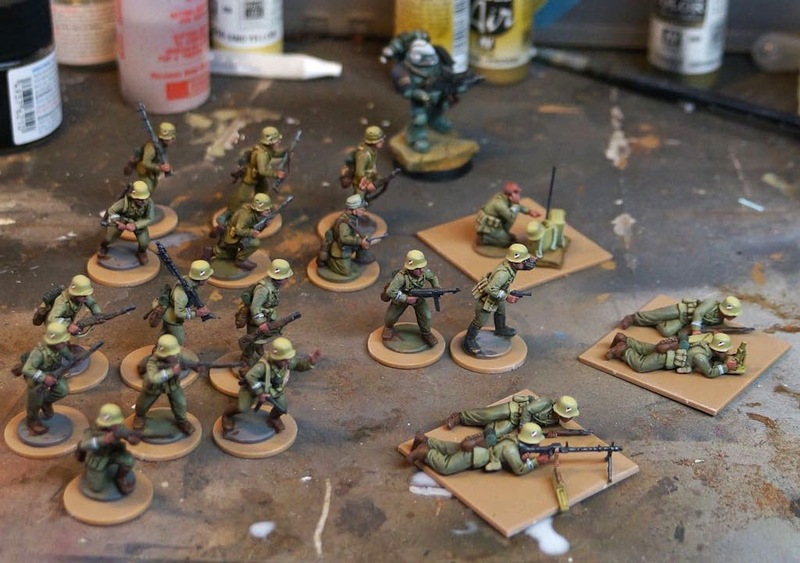 I've been watching Band of Brothers, and really want to paint up some of the good guys. 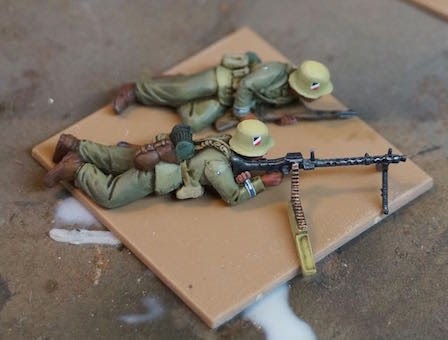 The DAK will be my first full Bolt Action army. This G3 truck is the first of the vehicles slated for the army. We haven't reached the point where we are using transport rules in our campaign, so I am not sure if transports are good game wise. 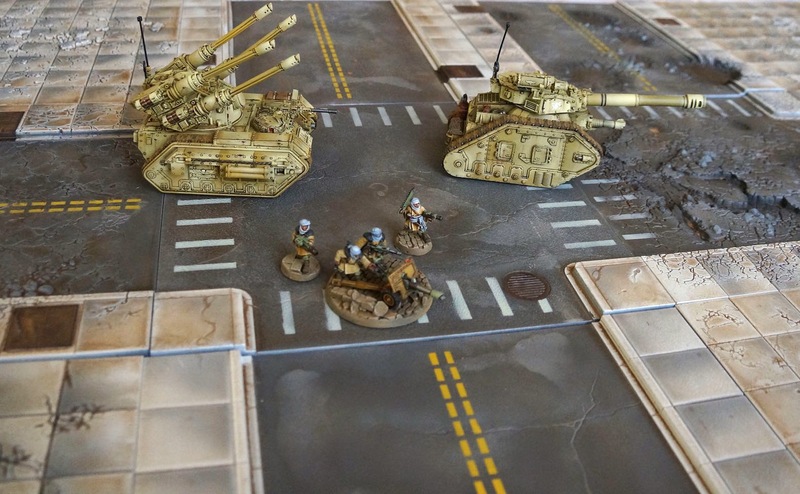 However, they are fun to paint, and I can see these being important as scenery and objectives. In terms of color, I think I solved the problem by using a more brown base, and then a paler tan/yellow color for the shading. My hope is to paint enough of these up that we can come up with any number of interesting and different scenarios. The more research I do into Bolt Action, and consequently WW2, the more I see how much Warhammer 40k has been influenced by both great world wars. For instance, that weird little spiked bumper on the original rhino/predators turns out to be a hedge row cutter like those originally fitted to Sherman tanks during the invasion of Normandy. 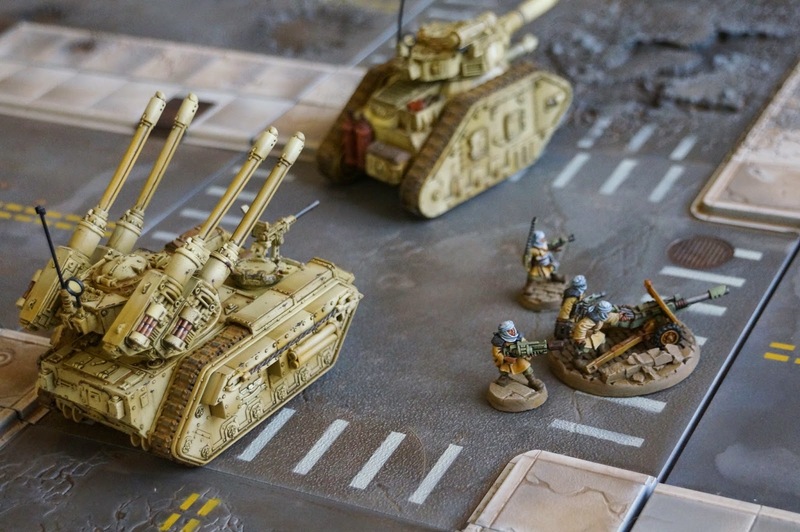 It amuses me to see 40's era solutions fitted to year 40K vehicles. Now, onto the sculpt itself. 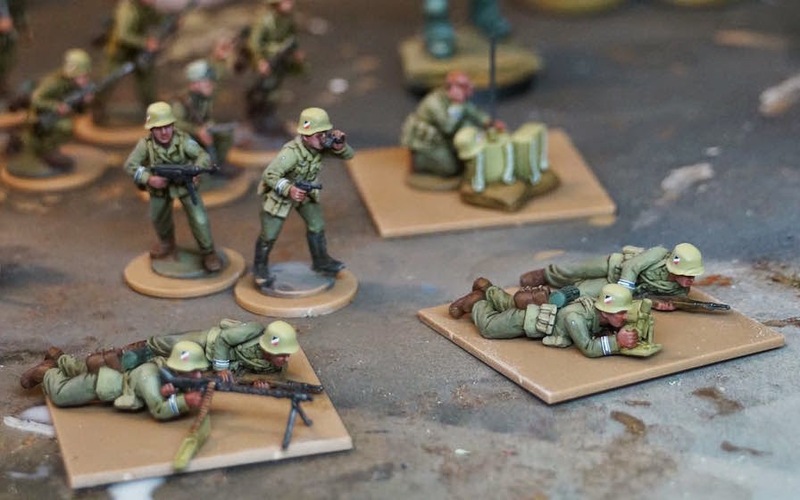 The G3 is from Company B miniatures, and is one of the worst casts I have seen in a long time. I think the model works well enough on the tabletop, but it would be impossible to paint one of these for a competition. So much rework would need to be done it would end up essentially being a script build. 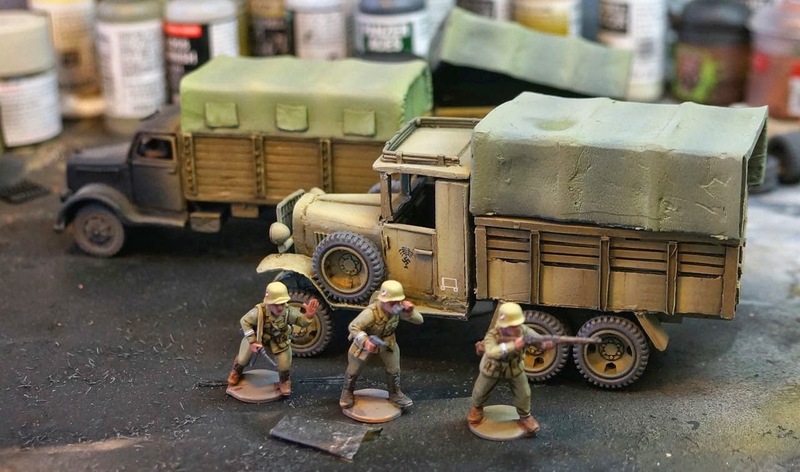 The model costs more than an equivalent truck from Warlord games, so if I were doing it again, I would buy from Warlord. I decided to let the yellow stay, and am well on my way to a playable force. These little models are pushing my painting quite a bit. After so many years of good quality Forgeworld resin, and GW plastic, it is a bit awkward painting models that have soft shallow detail. I love the sculpts, but the combination of size, and material quality make these difficult. I think GW has spoiled me! The Space Marine in the background is only there to provide scale. I have made good headway on these, but the basing is holding me back. I really dislike the small plastic disk attached to the model, but I think the legs are too fragile to sepparate it. 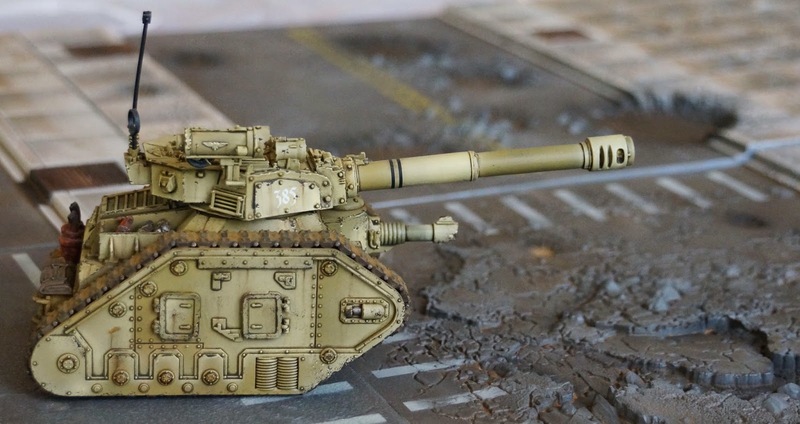 If there ever were a time for crackle paint, I think this would be it, however I think I am going to use a steel legion dust/bleached bone + straw colored tufts for the basing. 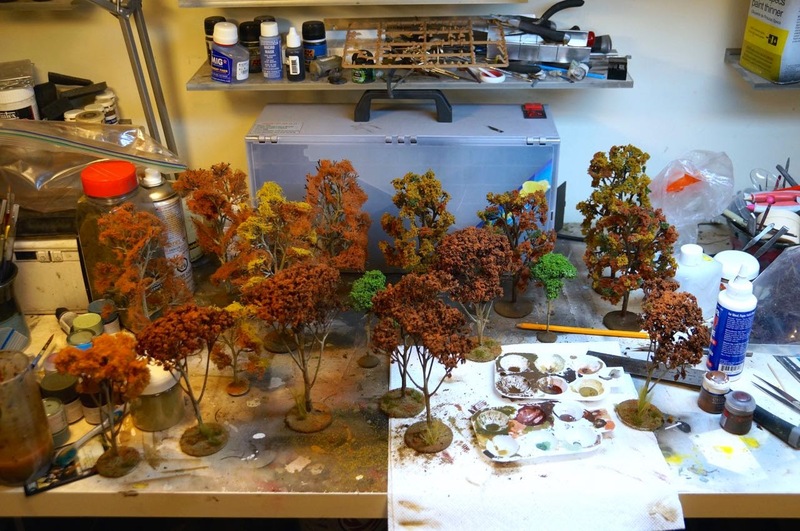 Anyone else have a big end of year army painting push? 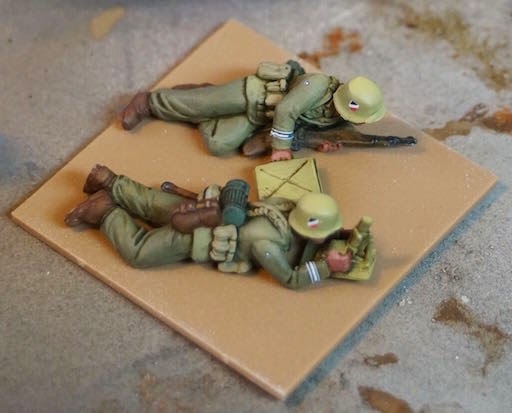 In painting my Desert Afrika Korps army for Bolt Action, I've run into a little snag. 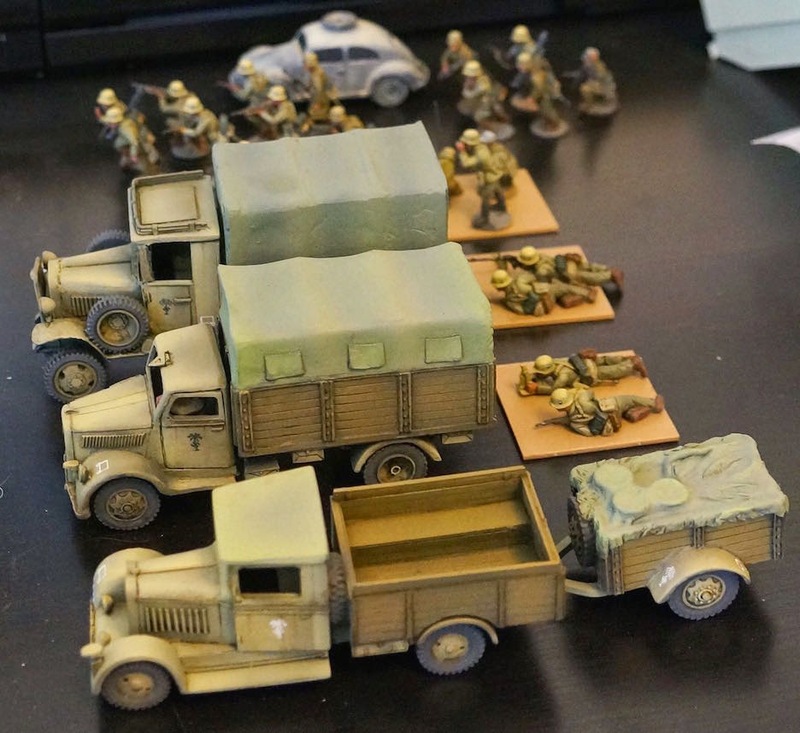 I really like dark yellow, and dark yellow is not the right color for DAK vehicles or troops. I should be painting the vehicles a mixture of sand color and brown, I just don't want to. 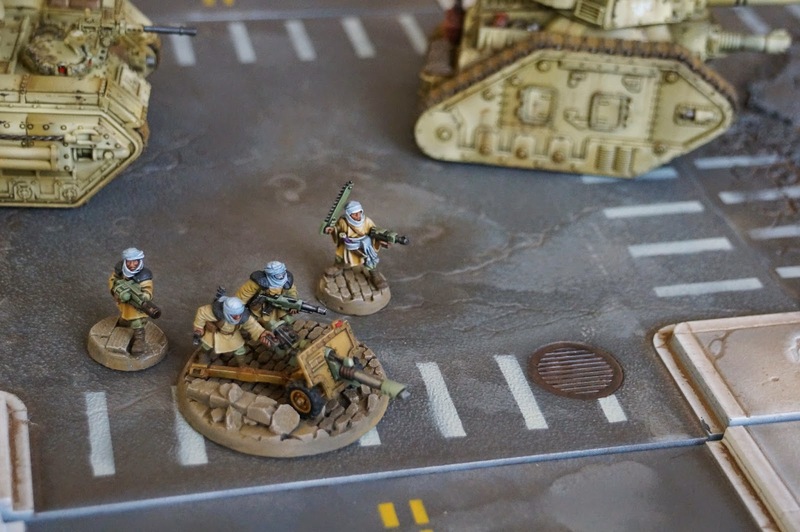 This might just be a hold over from all of my Warhammer 40k painting, but I feel that historical gaming has a higher bar for what is acceptable paint scheme wise, and that if I do not commit to the more sandy color that it won't feel historical enough. Sometimes it is nice to worry about things that truly do not matter. Regardless which way I go painting-wise, I wish everyone a happy holiday. 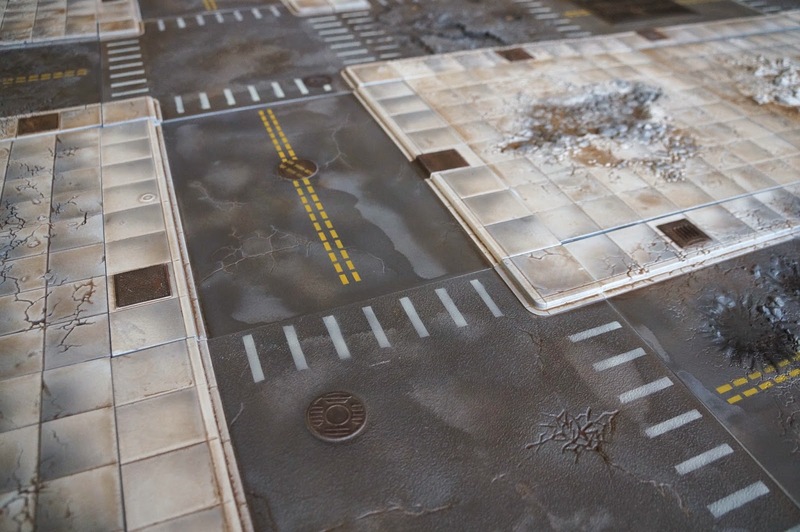 A while ago Justin McCoy posted a beautiful city tile from his urban tablescapes product. I loved the result and thought I would see if I could produce similar results with less effort. I wanted to paint the table in no more than 3 painting sessions. How I would paint a single tile is very different than how I would approach a 24 tile project, so I had to use spray paints at the base coat. What you see here is the product of two days painting. The steps were straightforward, and while oils and additional powders are coming next, I thought this was a good stopping place for a while. I think the table is usable now. So how did I get to this stage? Base coat all of the tiles with Rust-oleum matte iced gray. Cheap easy, but hellish overspray from the bottles. I work inside my office and had to do a quick emergency mopping to get the overspray off my hardwood floors! Spray Tamiya TS-4 German Grey directly from the can onto the asphalt sections using a piece of foam board as an edge to spray against. 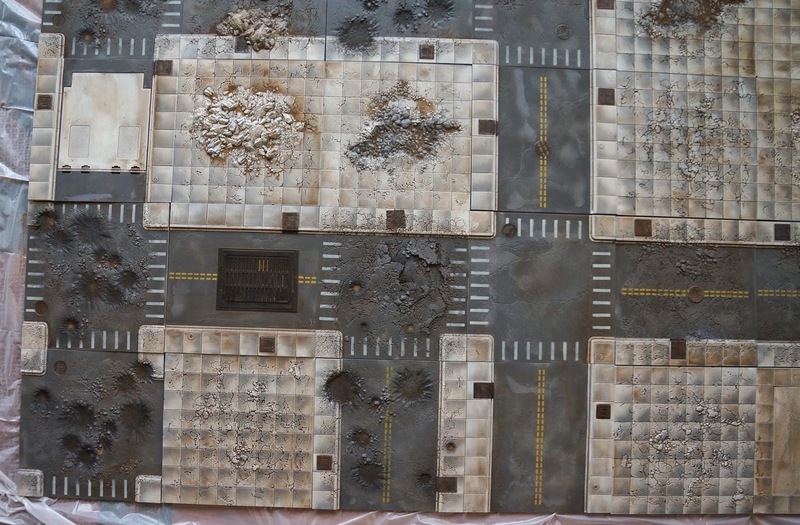 Grab and airbrush and spray tamiya flat black into each of the bomb craters. Color modulate the concrete. 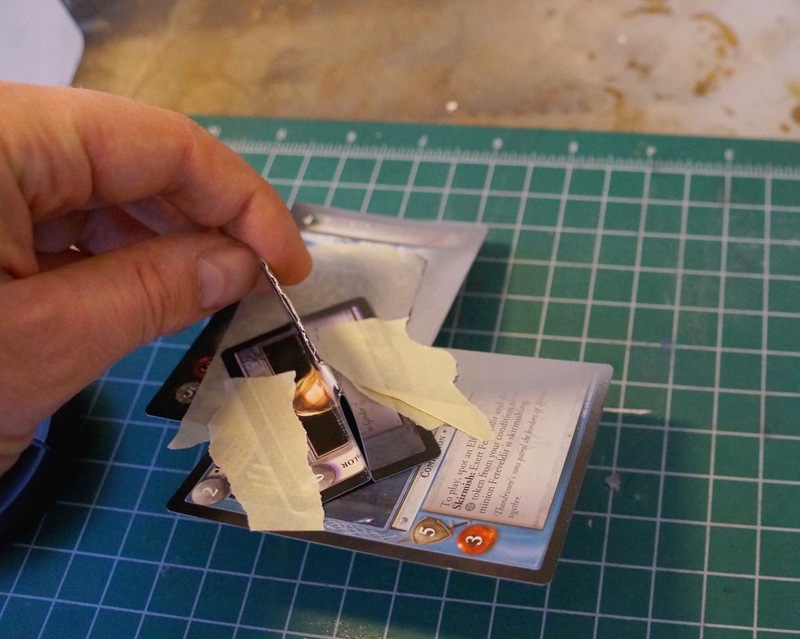 Using three old CCG cards, I made a square edge with a handle that I could use to produce hard edged for each concert chunk. This took the longest time, but I think makes the terrain more interesting. Think of this as color modulation but on a huge scale. 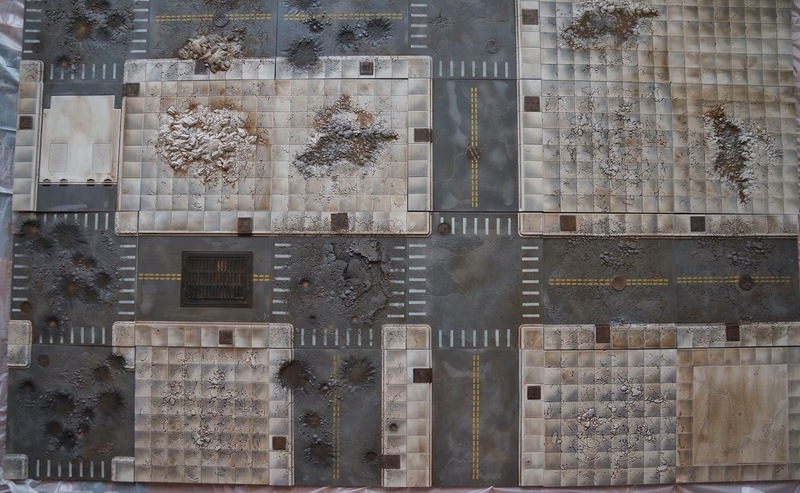 Using a darker version of the tamiya grey which shaded the concrete, shade the cracks and crevices on the asphalt. Paint all of the metal black using a mask. This automated the process. Drybrush boltgun metal (yep still go some!) on all of the metal parts. Quick and easy don't really worry about how messy this is. Take a dark old rust weathering powder (one of the ones that comes in the SWM box of powers) and liberally wash all of the metal bits. This produces a nice rusty look over the black and blowgun metal base. 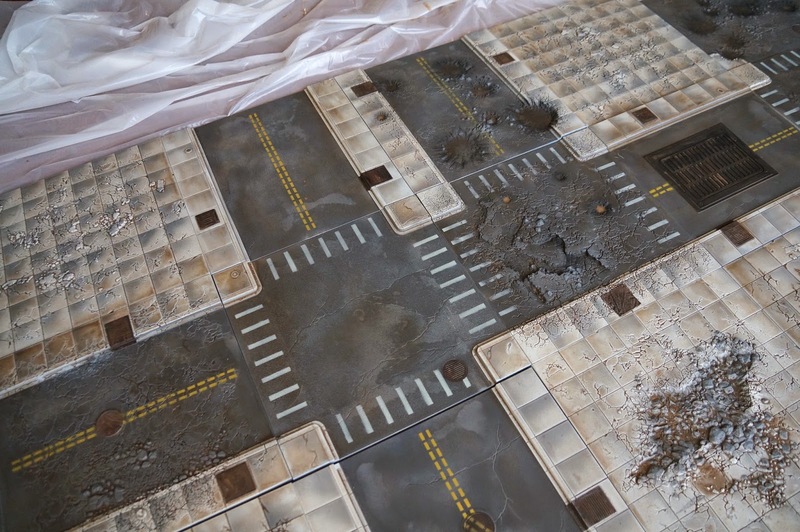 Mix a huge pot of brownish weathering powders with Tamiya x-20a thinner and wash the surface of every tile. 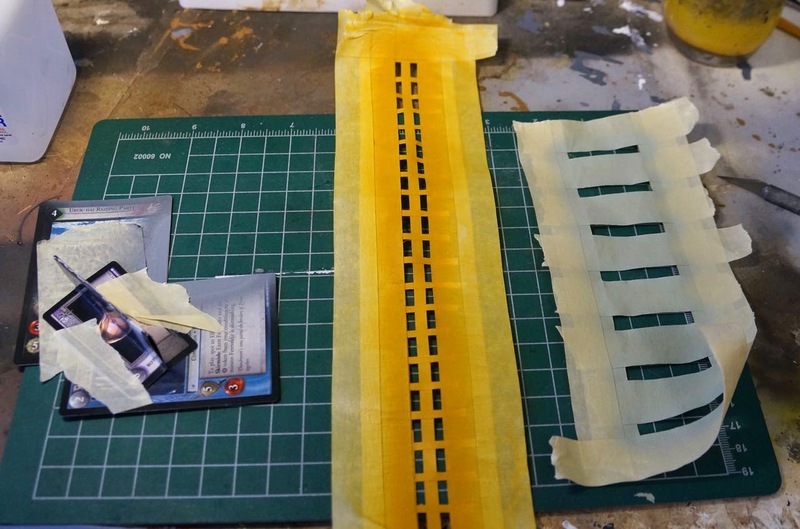 Make two masks out of tape that can be reused to paint the side walks and lane separators. 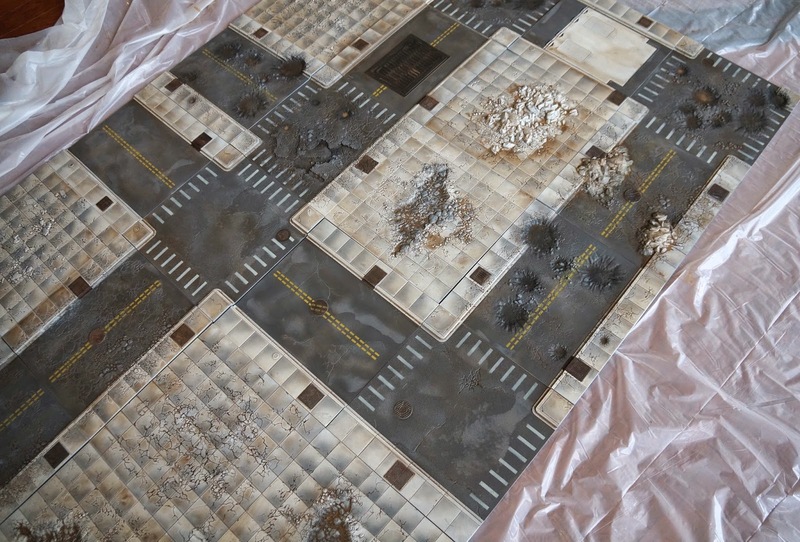 Oil washes in all of the gutters to give the sides of the street that filled with gunk feeling. I might skip this given how many tiles there are. Weathering powder wash of grey or light grey weathering powder. I think this will bring out the cracks in the streets more and even out the color over all. Paint a load of buildings. I think I am going to stick with a lighter color for the building so they match the concrete. 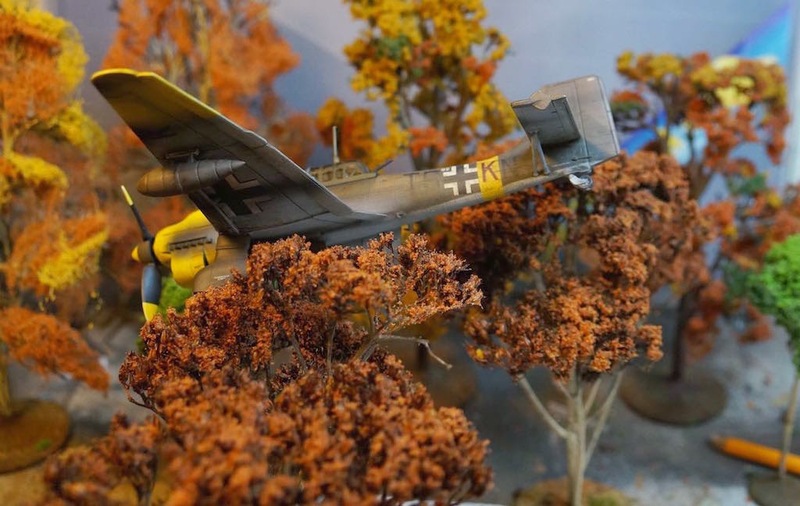 One of the benefits of the light sections is that they help models stand out more. Overall I really enjoyed painting these. I rarely attempt to paint something as large as a whole table, so I had to go more gestural to make it work. 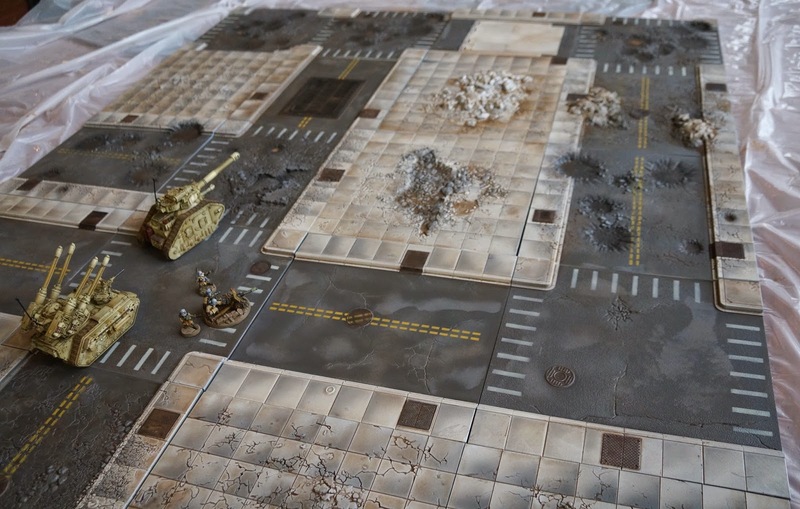 The tiles are a huge boon for the wargaming community. 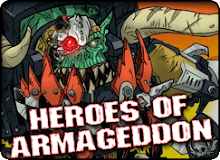 Thanks to Justin for taking a risk with a kickstarter of this magnitude. I can't wait to get some buildings on this table and take it for a spin. I think the moral of the story here is that I might paint 5 different armies a year, but I paint terrain rarely. Putting terrain on the same level as miniature painting makes the game much more enjoyable for me. I wish I hadn't waited so long to paint these. Since a lot of other people have SWM boards, here is quick run down of the tools I made/used. The first is an edge template made from three collectible cards. Any card with a glossy surface that won't easily absorb paint will do. I went through three of these painting the table. 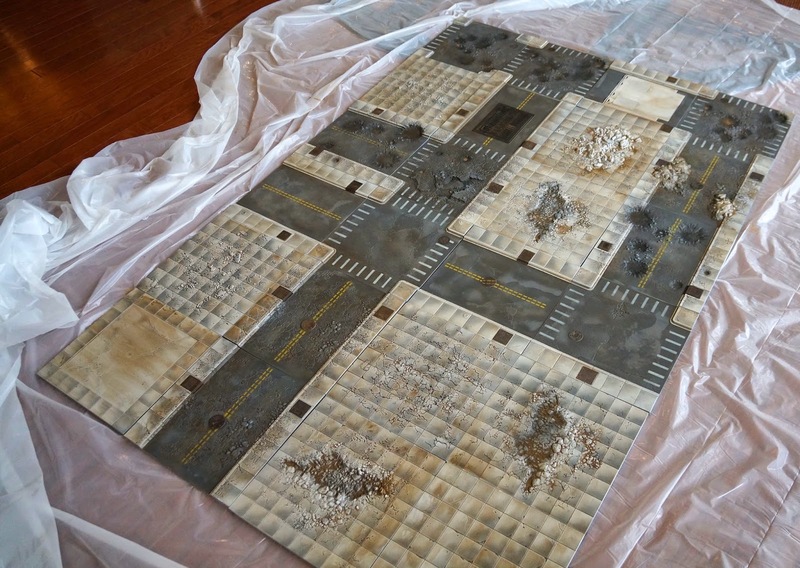 The idea is to spray darker color along 1/2 of each square on the tiles. I don't recall how long it took to paint the gradients, but it was the majority of the overall painting time. I saved the solid tiles for last, since they would take the longest. I think it took about an hour to do all of them. The process is tedious, though I really like the result. Normally I would use tape to mask the edges, but with so many tiles it was not worth the effort to the waste of tape! The last things I made were templates for the side walks and lane dividers. 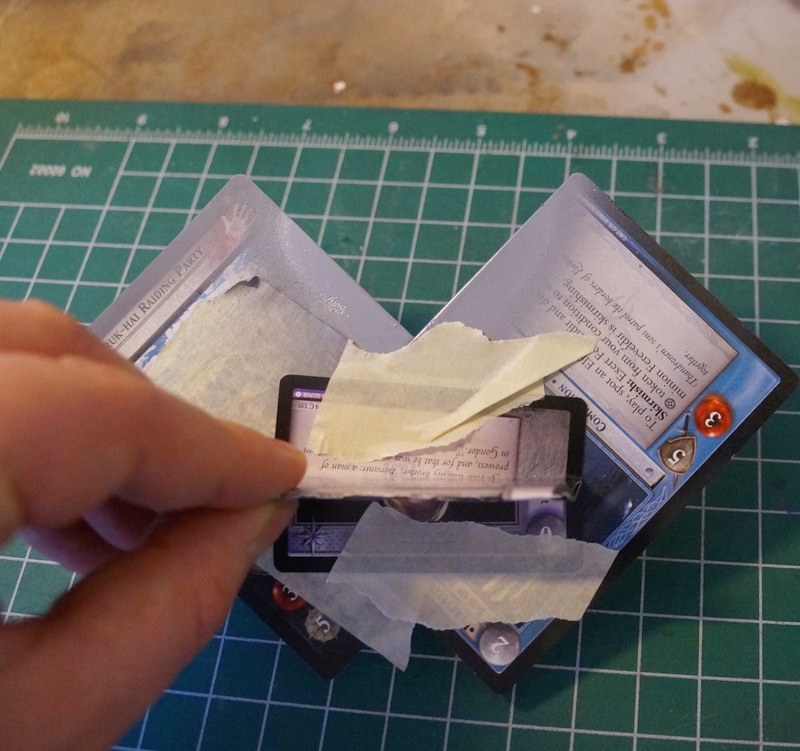 This is just tape that I layered up until I could use it repeatedly. This allowed me to paint all of the street details in about half an hour or so. Despite a lack of posting, I have managed to get quite a bit of work accomplished. I finally decided that I wanted to have a table's worth of nice terrain. 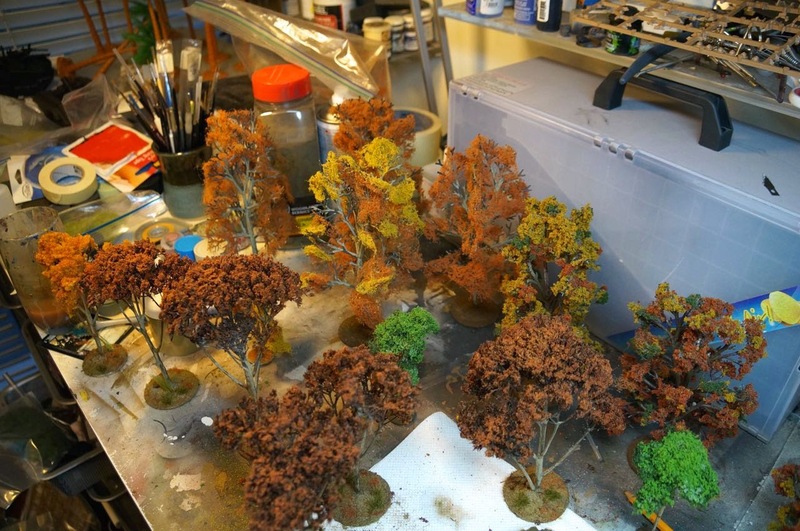 I think I've got the trees handled for now, and am ready to move onto the next pieces. So, how do people make rivers? I really want to paint river sections, but it seems like rivers would be heavy, difficult to store, and fragile if I made them out of plaster which is my normal building material. So how should I proceed? I really like the idea of having rivers, because I want to build bridges, but I am not inclined towards more storage nightmares. So terrain aside for a moment, I do have some painting progress. 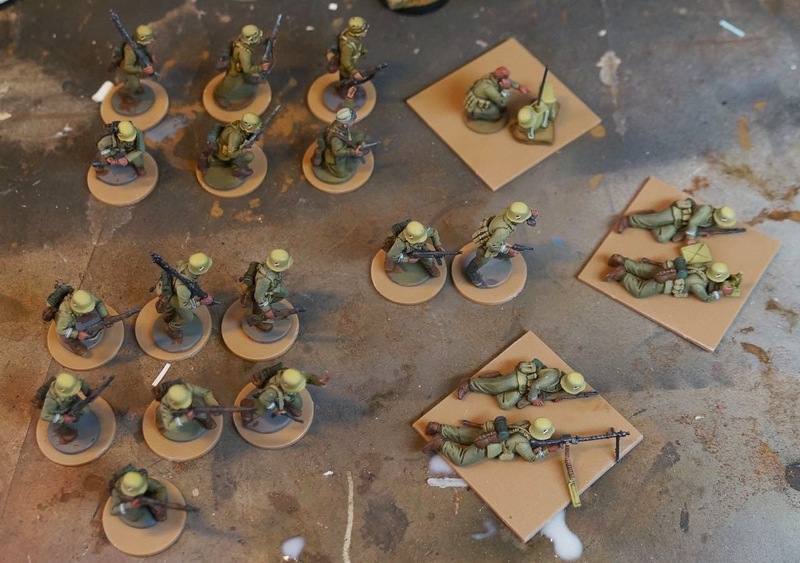 My first squad of DAK troops has been painted using my test scheme. I am not totally sold on it, but the nice thing about DAK forces is that a wide variety of uniform colors were present in any given force. My next batch will have more of a sun bleached look. 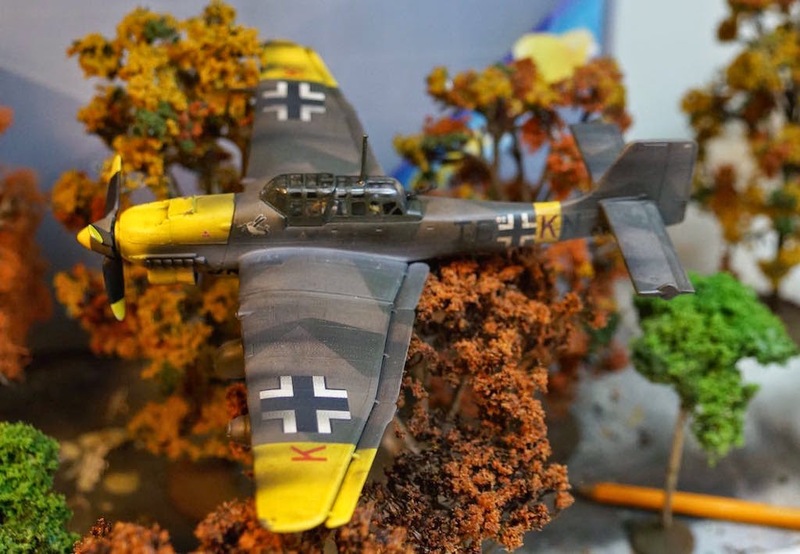 I also painted a JU-87 to accompany them. I know it is not in the tropical scheme, but it will likely see usage for both European and North African theaters of operation.